Ovah Coffee: Hats, Hats Away! Caps, hats, bonnets, beanies, berets... whatever they're called, I have a massive collection of them. I have 'em in different styles, shapes and colors and I think another one's on its way to my mailbox. Gotta check on that later. Anyway, since winter's long from over yet, check these lovely winter hats [http://www.winterhatsboutique.com/] and beanies. I super like 'em! The classic Newsboy winter hat. It is made of wool and the inside's of warm Microtherm to keep my head from freezing. In fashion, one can never go wrong with a classic! 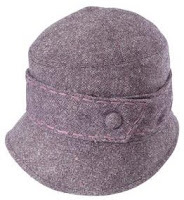 The Tweed Cloche Hat - Its length is enough to keep both the head and the ears from freezing. I like the strap and the button accents. I do not have this one in my collection and am actually considering to order one. 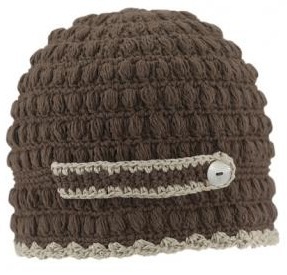 The Cotton Crochet Beanie With Side Tab is adorable, isn't it? Gotta love the light brown accent on the edge. The side tab and button also add beauty to this piece. Pretty! My favorite of all the winter "hat, cap, whatever"... the Women's Cable Knit Brimmed Beanie. 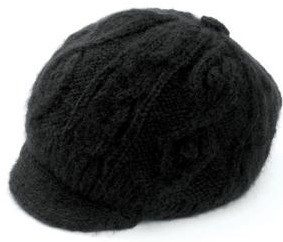 It looks a bit like the Newsboy but thie one's knitted making it perfect for a girly-girl like me! As always, happy shopping my dear readers! Hugs from me to you! nice kau imo mga kalo Ann and bagay sa imoha, ako kay d ko ganahan og kalo hehe pero mapugos ko og suot during winter season kay mgsakit mn ako ulo if wala koy kalo hehe..lamat sa visit..
Good to know! You look so pretty in that hat on your pic!